Sometimes you may witness blocked Control Panel (CP) on your computer mostly after a malware attack. 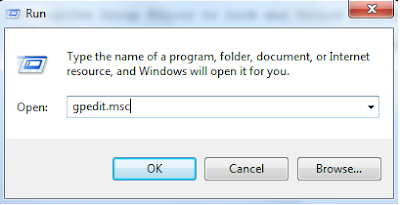 Some malicious programs lock this window to prevent you from accessing Control Panel items. Most of the times they use Group Policy or Windows Registry to lock it and it may remain locked even if you remove malware from your computer. This tutorial tells how to unlock disabled Control Panel on your computer with Group Policy and Registry. 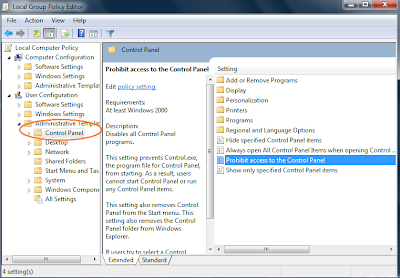 Even if you are unable to find CP and Control Panel items on the Windows Start menu, from Group Policy we can fix it. You can also use the same instructions to lock it on your computer to prevent others from accessing this feature on your computer. Steps to lock and unlock the control panel on your computer are provided below. Double click on "Prohibit Access to the Control Panel" and click on enable to disable it on your laptop. If you select disable, CP will be accessible. Select Enable if you want to Remove CP From Windows Start menu and prohibit access to it. Do not forget to save settings before closing the window. If you select enable radio button users cannot start Control Panel or run any CP items on your PC. Moreover, users will never see it in the start menu. So if anyone is not seeing Control Panel in Windows start menu, you can easily tell them it is being disabled either in Group Policy or in Registry. Once you have done with unlocking CP from Group Policy, if the issue persists, next you have to look at Registry. Malware can disable Control Panel from there and you must unlock it manually. Before going to change any settings in Registry, I recommend you to take a backup of the current registry by following the steps below. 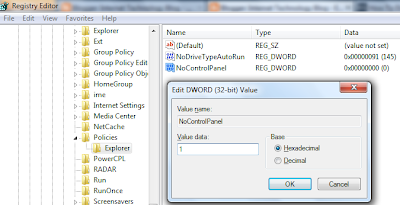 Select Explorer and right click on the right side to create a new DWORD(32-bit) Value. Change the name to NoControlPanel and double click on it. Now change the value data to 1. 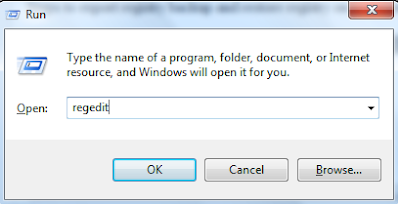 Click OK.
From this tutorial you have learned how to resolve the issue if you are unable to access the Control Panel and its items on your computer using Group Policy and Registry. You have already understood the trick to disable ControlPanel on your computer. Like this, if you want to disable unwanted startup programs on your computer click on the link below. Just like Group Policy and Registry, another important tool in Windows is WLAN AutoConfig. To learn how to tweak with it, follow the link below. I knew it is the registry which stops me from control panel. I was not sure about which value. Thanks to you now I found the culprit.